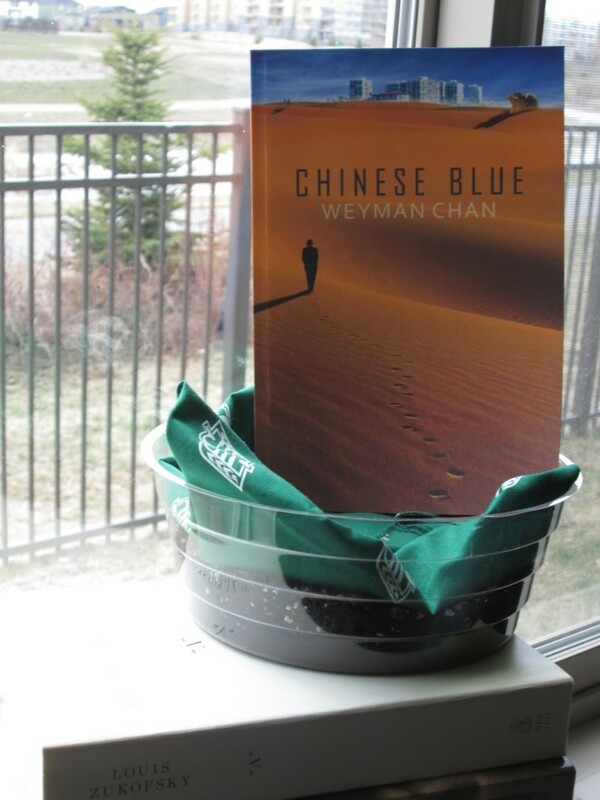 Weyman Chan was born in Calgary, Alberta, in 1963, to immigrant parents from China. Chan has published poems and short stories in a wide variety of literary journals and anthologies. He won the 2003 Alberta Book Award for his first book of poetry, Before a Blue Sky Moon and his second book, Noise From the Laundry, was a finalist for the 2008 Governor General’s Award for Poetry and the 2009 Acorn-Plantos Award for People’s Poetry. Chan’s most recent collection Chinese Blue draws on more than two thousand years of ancient Chinese tradition that present diverse philosophical modes of being in contemporary times. Whether it be the spiritual teachings of Kong Zi or Lao Tzu, the military dicta of Sun Tzu or the complex sensibilities expressed by poets such as Ssu-ma Hsiang-ju, Li Bai, Du Fu and Wang Wei in the wake of a tumultuous imperial government, Chan restates these concerns of the past while addressing other “first world problems” in our own contemporary era. The poems in Weyman’s new collection belie an acute ear and tongue. Beyond the range of thinking “Chinese” and the facts of the biotext is his very incisive attention to the materiality of words – their sounds and where they touch the tongue. claiming that instinct was a sad, poor widow of free will. It wasn’t easy.